Before I get to my Thank Yous, I always like to say a few words. My name is Ida Goeckel and y’all know I am a two-time breast cancer survivor. I was diagnosed in 2003, and then again in 2012. I had surgeries and radiation both times and I consider myself evenly toasted. Roswell Park Cancer Institute’s breast care clinic and radiology staff provided me a second opinion and a second chance that led me to independently explore my options. With caring, compassionate treatment and understanding, they and the WNY Breast Resource Center, gave me hope for a new future. As a result of my own research, combined with their input, i was able to empower myself to make informed decisions regarding my care. In an effort to show my gratitude, I organized the Female Musicians Fighting Breast Cancer Benefit so that others, who maybe needed more support and guidance, could benefit from the services offered through the now renamed WNY Breast and Gyn Resource Center in the new adjacent building at Roswell Park Cancer Institute. DWANE HALL, DENISE HALL, JASON HALL, AND KENNY BIRRINGER – of the Sportsmen’s Tavern for stepping up to the plate and generously donating the venue, sound, lights and backline as well as several amenities/guidance, and tix sales to ensure the event goes smoothly. Special thanks to Jason, for being patient with my OCD. It was a pleasure to work with them, and their bartending and kitchen staff. Also thanks to Jacob on sound and lights! Great job! 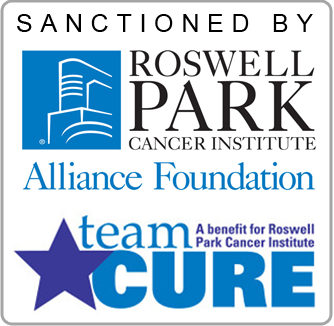 ROSWELL PARK’S ALLIANCE FOUNDATION AND TEAM ROSWELL/JULIA HARVEY & ALEXANDRIA HOUGLUND – for the sanctioning of this event and help with promotions, Team Roswell kit, and for representing here today on behalf of Roswell. 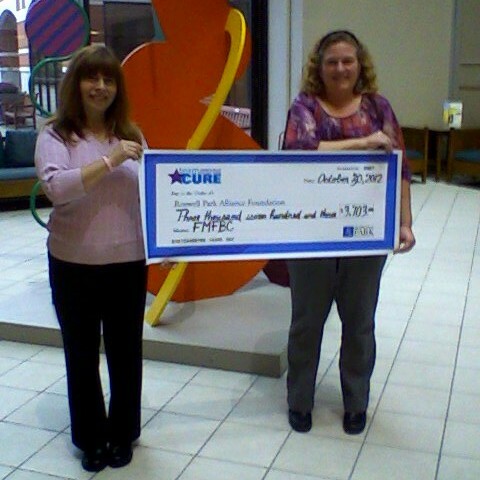 Also to Angela Brown, who runs the WNY Breast and Gyn Resource Center. ED HOENECK- FROM NIGHTLIFE MAGAZINE for his continued support in advertising and promoting this event. In addition, my thanks to Suzanne Suchan of “You Can with Suzanne” for allowing me to promote the benefit on her show, Citybration, and also to Jessica Brant of Buffalo Vibe for a great interview and article. STEPHANIE PETKO- for her hand-crafted owls made especially for this event. TO ALL THE PERFORMERS: JULIE KITTSLEY & JACK CIVILETTO, DIRTY SMILE, THE SHADOWS AND TERRIE GEORGE, AND THE PATTI PARKS AND HER BAND! What a great, supportive, selfless, top-notch lineup of talent!! KATIE HILDRETH/NOIZEPRO.COM – this year’s once again outstanding poster design and web site design and maintenance, Facebook page and promotion. PHOTOGRAPHER, MIKE MIETLICKI – for donating his outstanding photographic talents, taking event day pictures! Joe/Allentown Music, Rob/West Seneca Music, Jamie/Guitar Factory, Mikal/Guitar Center, Vince/Music City, Barry/Terrapin Station, Cathi Grace & family, Tops Markets, Party City, Margaret Freiert, Lynn Schmeidler, Joan Bellus, Natalie Deluca, Carmen Torres-Bursie, Donna Robbins, Candy Pacitti, Maria Oakley, Jeanne Frain, and all my generous co-workers from ACCES-VR, Davina Moss-King/Positive Direction, Vanessa Rehac/printing, Joelle Brown, Bonnie Mertz, Renae Goeckel, Jeanette Eisenhauer, Rosa Davila, Jennifer Sinatra McNeil, Terrie George, Patti Parks, Michael/Bomi Jewelers, Kim/Elwood Fire Protection, JJ’s Casa Di Pizza, Max Willig, Krista/Krista’s Caribbean Kitchen, Michele/Blackrock Historical Society, Doreen/Artsphere Gallery & Studio, Kevin/Steel Buffalo/Buffalo Nostalgia, Maureen Szczepanski/Sara & Frank Testa/Public House, Ellen Bourn, J.B., Onyx/Strange Brew, Lauren/Atomic Blonde, Hutch, Al, Ryan & Ernie/Hutch’s Restaurant, Mary & Jane/The Phoenix, Nancy Weimer, Cathy Colicchia, Dennis Grace-signs, Raclette’s/Sandra, Celia O’Brien, Natalie Neubauer, and The Gypsy Parlor/Gabby. Thank you for your sense of community support and generosity! AND FINALLY, TO THE AUDIENCE AND SUPPORTERS. THOSE CARING PARTICIPANTS, WHO TOOK THE TIME OUT TO ATTEND THIS BENEFIT TO SUPPORT A GREAT CA– USE, WITH MUSIC AS THE UNIVERSAL LANGUAGE THAT BRINGS US TOGETHER FOR ANOTHER SUCCESSFUL YEAR!